Enschede is not only the largest shopping city in the east of the Netherlands, but also the most inviting. With over 350 shops in the centre alone, Enschede attracts a growing population of shoppers, who always find something of their liking. 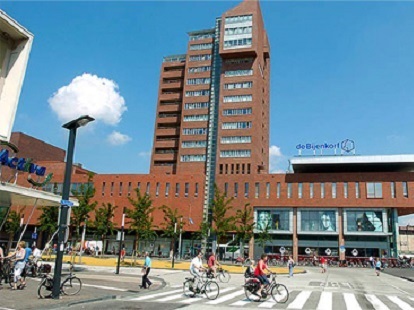 Shopping City Enschede is a balanced combination of the old and the new, of the familiar and the surprising, and of big names and small specialised shops. All blended together in a city centre that is as organised as it is cosy and that offers both familiar shopping streets and the renewed Van Heekplein square. The Van Heekplein also holds a large, popular outdoor market every Tuesday and Saturday. This outdoor market was voted the best in the Netherlands. Posted on September 19th, by Marlies in Enschede.